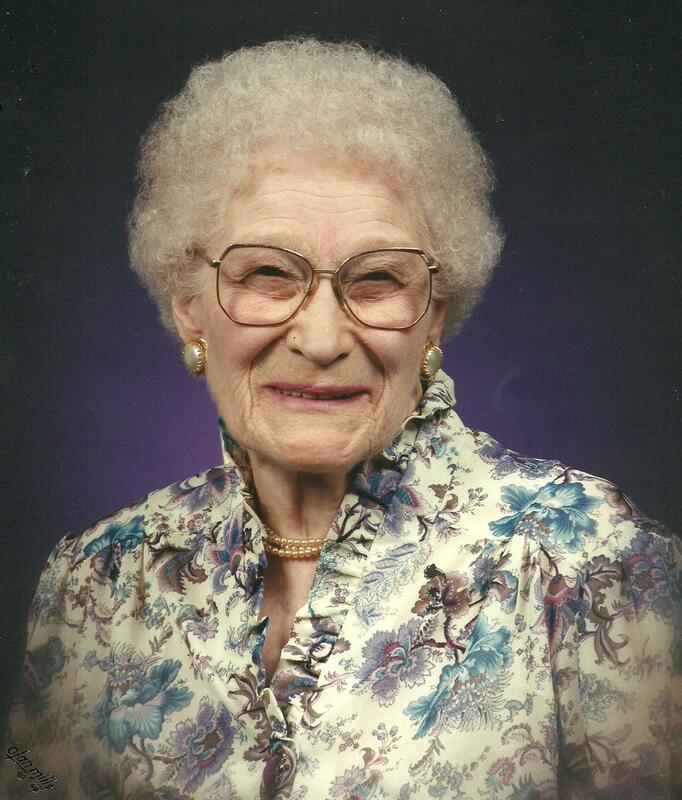 Ellen, Age 98 of Barron, WI, passed away Sunday October 21st, 2007 from complications of Alzheimer’s while a resident at the Barron Nursing Home. Ellen is one of the more than 500 Alzheimer’s victims that die every day while this death toll continues to increase. Ellen was a Pioneer Barron County resident for all of her almost 100 year life. (99 Years) Ellen was born in December 1908 on a dairy and an early day tobacco farm on the Yellow River just north of Barron. Ellen was the daughter of immigrant parents. Her father Gabriel Tollackson Nedland came to America from Flekkefjord, Norway while her mother Annie Johnson came from Grabbestad, Sweden...Their arrival in the US was circa the 1880's. Ellen's father Gabriel died at the age of 80 in Rice Lake, Wisconsin on March 24th 1943...(He was born on 1 December 1862)...(He was living in Rice Lake, Wisconsin at the time with his second wife)...Gabriel was buried in the family burial plot of the Norwegian Lutheran Church Cemetery, at Barron, Wisconsin...as a part of the immigration procedure through Ellis Island, Gabriel was given a plot of farm land that if he worked and improved the land, it became his...During most of his life time, he devoted to working this farm north of Barron on the Yellow River. Gabriel both dairy farmed and tobacco farmed on the land...when he retired to live in Barron in his 60's, the land was transferred to his son Edward. Ellen was a little girl during WWI. Ellen was a young lady during the "Roaring Twenties" and the "Flapper Era". Ellen was raised on the Nedland farm on the Yellow River. Ellen struggled through the tough times of the Great Depression Years as both a wife and a mother living in poverty. She recalled one Christmas when the family had only one (1) dollar for the entire month of December. In spite of the hard times Ellen maintained a cheerful disposition and always had a smile...Ellen was asked one time how she could always be so cheerful when the times were so hard...her reply was simply: "No One Likes a Sour Puss." Ellen has outlived three husbands, Royce Candler, Percy Berg and Thomas Silbaugh. Royce abandoned her (1) month after Stan's birth. Ellen's 2d Husband Percy turned out to be the town drunk and drank up what little money Ellen had for family living expenses. It was Ellen's 3rd husband Tom, that finally gave Ellen the life she deserved...The last several years of their life together (before Alzheimer's) was living on a small lake (Prairie Lake) near Cameron, Wisconsin. Ellen had at one time worked in the old Barron Pea Cannery and later was a farm wife on a small 20 acre farm southwest of Rice Lake. She retired with her late husband Tom on Prairie Lake near Cameron. Advancing age and health required their move to the Senior Park Lawn Apartments in Barron. More recently she has been at the Barron Nursing Home where she fought Alzheimer.s for the last almost 7 years of her life. Ellen was a lifetime member of the Royal Neighbors of America and served several years as their Oracle. Ellen is also a life long member of the First Lutheran Church (formerly Norwegian Lutheran) in Barron where she was also confirmed when a young lady. Ellen was an ardent Elvis Presley fan. 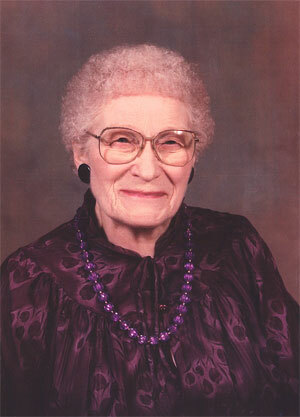 She enjoyed reading and was a member of various book clubs during her lifetime. She enjoyed country western music as well as the popular music of the WWII era. 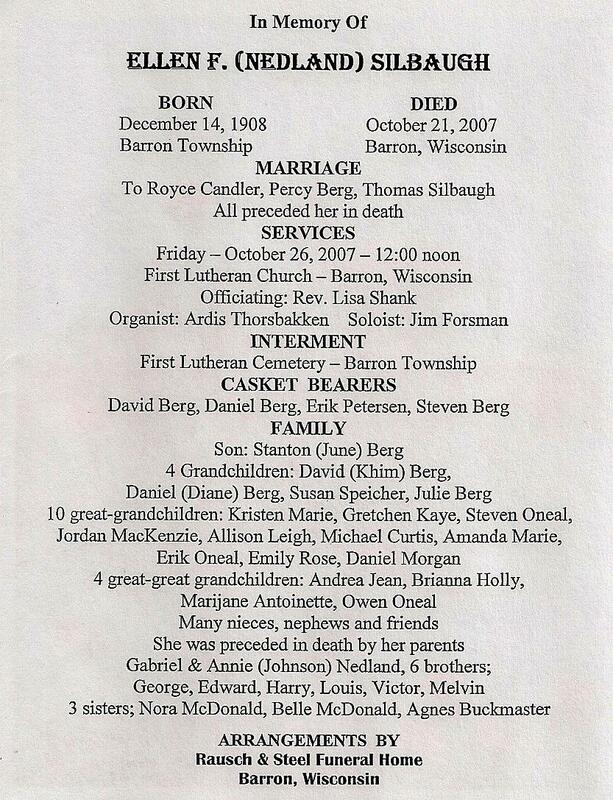 Ellen is survived by her Son Stanton O. Berg (June) of Minneapolis, four (4) Grandchildren David Berg (Khim), Daniel Berg (Diane), Susan Speicher and Julie Berg. Ten (10) Great grandchildren Kristen Marie, Gretchen Kaye, Steven Oneal, Jordan MacKenzie, Allison Leigh, Michael Curtis, Amanda Marie, Erik Oneal, Emily Rose and Daniel Morgan. Five (5) Great Great grandchildren Andrea Jean, Brianna Holly, Marijane Antoinette, Owen Oneal and June Marie. Many nieces, nephews and friends. Ellen is the last survivor of the original Nedland family. Proceeded in death by her father and mother, six brothers and three sisters. George, Edward, Harry, Louis, Victor, Melvin, Nora McDonald, Belle McDonald and Agnes Buckmaster. Ellen who was strongly Patriotic, was also noted for her cheerful attitude, a strong work ethic, her lack of complaints during times of adversity and her keen sense of humor. Memorials are preferred to the First Lutheran Church of Barron or the Alzheimer’s Association. Services are on Friday October 26, 2007 at 12 Noon at First Lutheran Church, Barron Wisconsin. Officiating: Rev. Lisa Shank. Organist: Ardis Thorsbakken. Soloist: Jim Forsman. Internment: First Lutheran Cemetery, Barron Township. Casket Bearers: David Berg, Daniel Berg, Erik Petersen, Steven Berg. Arrangements by Rausch & Street Funeral Home, Barron, Wisconsin.